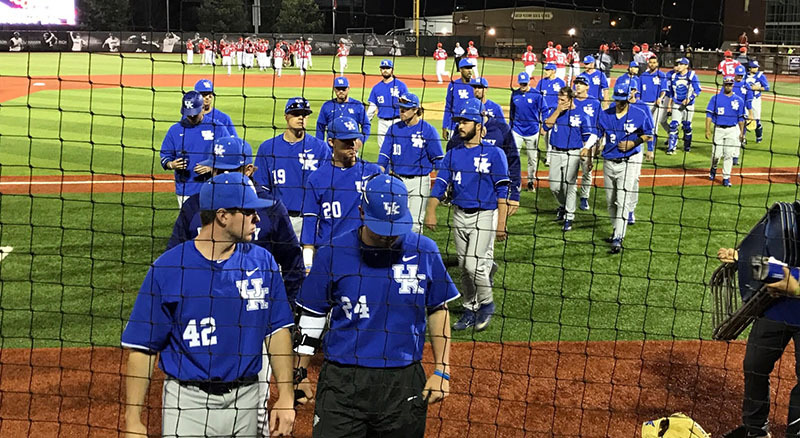 The already caustic rivalry between the universities of Louisville and Kentucky will become more vitriolic after this week’s NCAA Super Regional baseball competition. One season ending, another pursuing glory. Bitter, as in bitter, end for the loser. UK is a newcomer to Super Regional competition, having never won a Regional tournament in the program’s 100-year history. The Lexington school is a surprise, having compiled a 43-21 record overall and a 19-11 mark in the Southeastern Conference in Coach Nick Mingione’s first season. Whether that winds up being the proverbial flash in the pan or long-term success remains to be seen. But suddenly the basketball-centric UK followers consider themselves diehard baseball fans. 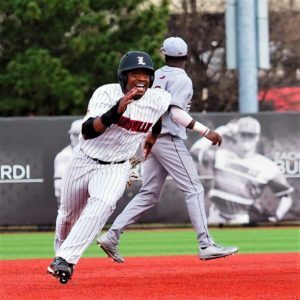 UofL, meanwhile, will be participating in its fifth consecutive Super Regional and its seventh during Coach Dan McDonnell’s 11th season. The Cardinals also have won six of the last seven games against the Wildcats over the last four seasons. UofL is 50-10 this season. Lots of complaints from UK fans after it was announced the Super Regional was a sellout less than 24 hours after UofL won the Regional against Xavier. Some Kentucky fans arguing that it was unfair for Louisville to sell out the event before they had qualified. 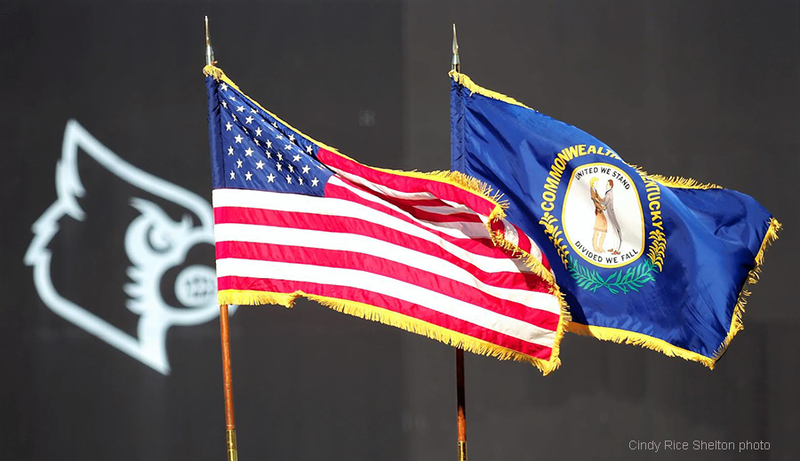 Others suggesting that the games should be moved to Louisville Slugger Field. Sorry, Cat fans, neither argument is valid. 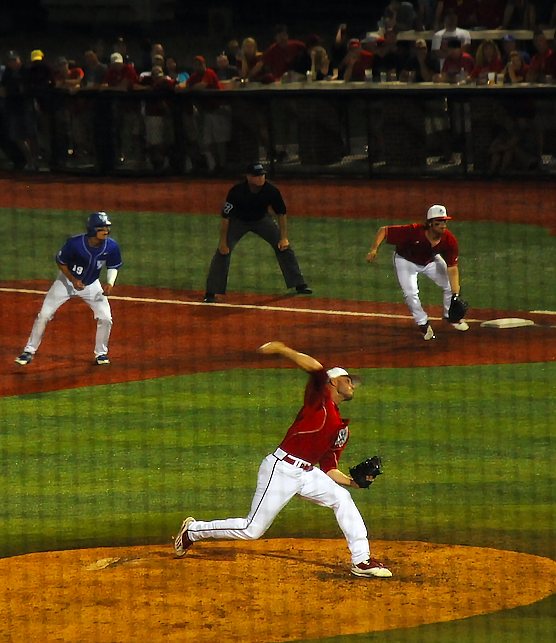 UofL earned the right to host the Super Regional during the regular season. A national seed is supposed to mean something. That includes the home field advantage and everything that goes along with playing at Jim Patterson Stadium. 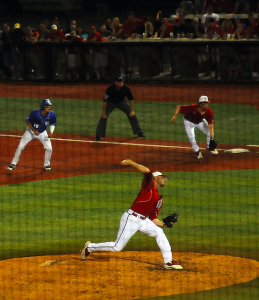 Given the success of the UofL baseball program over the past decade, long-time observers of the rivalry are not surprised that Kentucky has been investing heavily in baseball. The Wildcats will begin play in a new $49 million 2,500-seat stadium, starting the 2018 season. Welcome to the world of college baseball, Wildcat fans. We were wondering how long it would take for them to stop pretending they hadn’t noticed UofL’s success in baseball. Expect some fireworks this week, on and off the field. 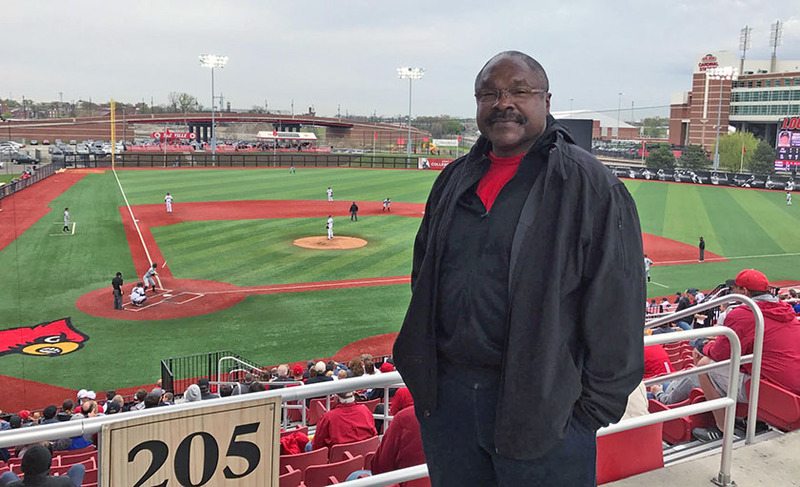 On any day when the University of Louisville baseball team is in action at Jim Patterson Stadium, one will find Donald Hairston pacing the concrete deck on the first base side of the field. Hairston, who hails from Lexington, is the father of Devin Hairston, the Cardinals’ starting shortstop. His wife, Valerie, is at the stadium, too, but she is usually watching with a friend in the seats. Hairston says he prefers to stand during games, especially when games are close and the outcome is still on the line. “Too much nervous energy,” he says. 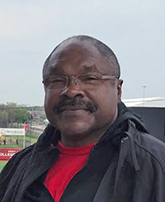 Hairston is a retired information technology specialist and Valerie is a retired teacher from the Fayette County Public School System. They travel to Louisville for every home game, as well as to other games within driving distance. Devin Hairston is hitting at a 328 clip this season (Cindy Rice Shelton photo). Devin is currently hitting at a .328 clip, with eight doubles, three triples, two home runs and 37 runs batted in after 38 games. Defensively, at shortstop, he has a fielding percentage of 99.2%. When both players had games on the same day the past two seasons, one parent would go to the UK game, the other to the UofL game. No problem this year with Dorian enrolled in grad school in Lexington. A disappointed University of Kentucky baseball team heads back to the bus bound for Lexington after another loss to Louisville at a jam-packed Jim Patterson Stadium. 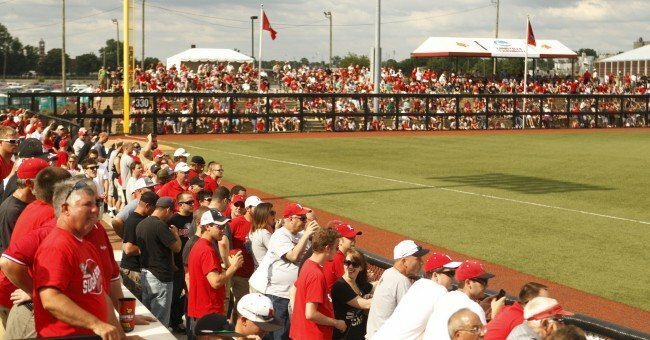 Jim Patterson Stadium was so packed Tuesday that the University of Louisville reportedly had to close the gates for the first time ever, with a record crowd of 6,210 people on hand for the game against Kentucky. The outfield berm was a sea of red with a smattering of blue sprinkles, extending all the way past the children’s playground to the backup screen in center field. Evidence aplenty that another expansion is needed. The only question is when the official announcement will be forthcoming. UofL and UK fans in close proximity for more than four hours, with few hints of the animus that exists between the fan bases. Could have been because Louisville was so convincing early, jumping out to a 5-0 lead after three innings and would hold UK scoreless through eight innings. It wasn’t supposed to be that easy and it wasn’t. When the Wildcats rallied in the top of the ninth, many of their partisans had already departed. They would score three runs courtesy of three hits, a walk and three runs off of Louisville reliever Rabon Martin. Fortunately, right hander Lincoln Henzman lived up his closer billing, shutting down the Wildcats for the 5-3 victory and his eighth save of the season. The win gave the Cardinals their sixth straight win over Kentucky over the last four seasons. Drew Ellis and Devin Hairston wielding the big bats again. Ellis, with two hits, broke the ice with a two-run double in the first inning. Hairston, who had three hits, would drive in two more runs in the second inning. Right hander Shane Hummel would get credit for his third win without a loss. But give tons of credit to freshman lefty Adam Elliott from St. X who would shut down Kentucky with runners on second and third in the fourth inning. He would limit them to two hits over the next two innings. The win improved UofL’s record to 25-3. Kentucky is 21-9. Nothing better than beating Kentucky for a fifth straight time, as has occurred in both baseball and football. Devin Hairston’s hot bat made the latest win happen for the University of Louisville baseball team with a high bouncer over second base in the bottom of the ninth, sending Colin Lyman home for a 7-6 win over UK. Anthony Kidston back in the win column. 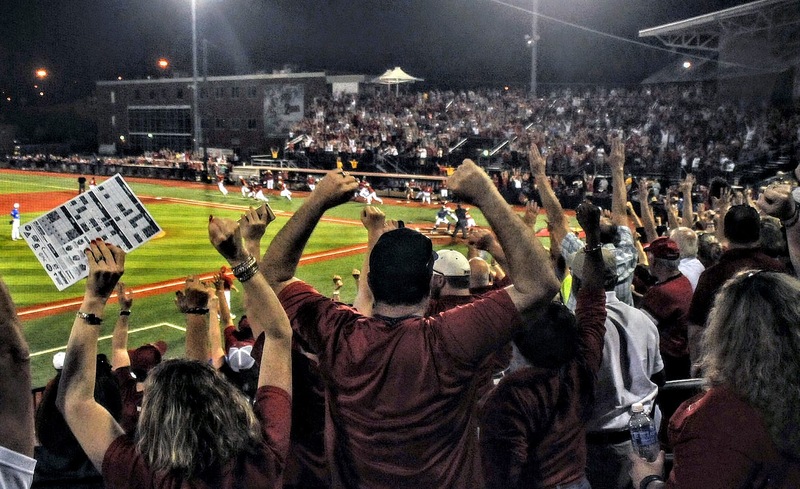 Witnessed by crowd of 4,642 at Jim Patterson Stadium on Tuesday, most of them still on hand for the heroics and celebration at game’s end. Hairston continues an almost unbelievable hitting surge, raising his batting average to .388 for the season while driving in 31 runs and scoring 40 runs himself. A year ago he was struggling at the plate, batting eighth in the lineup. He was the cleanup hitter on Tuesday, reaching base three times on singles. In his last 16 games, Hairston is hitting .400 with a home run, with four doubles, 17 RBI and 27 runs scored. The win was extra special for Louisville right-hander Anthony Kidston who had not won a game in two seasons. During his first two seasons, he was 14-1, winning nine games during his sophomore year. Beating the arch-rival cures a lot of ailments. Maybe just what Kidston needed after struggling mightily with his control last season. Righthander Kade McClure, facing the Wildcats for the second time in a week, lasted six innings, giving up five runs and five hits. Corey Ray loomed large again for the Cardinals, connecting in 2-for-5 at-bat, including his 11th home run of the season, adouble and driving in two runs. His 22nd career home run highlighted a three-run seventh inning as Louisville charged back from a 5-1 deficit.